JS and CSS frameworks and libraries usually handle browser differences for us and provide a consistent interface, but manual adjustments are usually required. Testing on different browsers ensures us that our application works as expected for all our users. But this post is not about the differences between browsers, which are just a fact; it's about one specific problem many developers who work on Linux face - how to debug and test on Internet Explorer, when you can't even run it on your system. Using these websites is a pain (Broken systems, long wait times, inability to scroll the page, etc...). One solution is to dual boot your system with Windows. But this does not allow you to work on your code while testing. You have to stop your work, reboot your system, do your tests (sometimes you just want to see how a page looks like on IE) and reboot again. This is a hassle. And also, you need a Windows license. The most viable solution, at least for me, is to run Windows on a virtual machine using Virtual Box. Microsoft releases Windows' VMs with different versions IE just for this purpose. 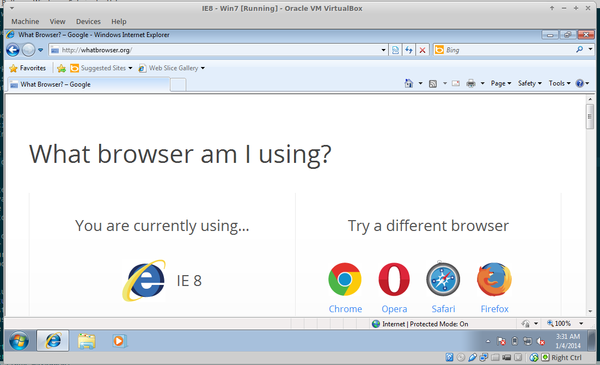 After installing Virtual Box, running the VMs is easy. Just follow the download instructions, extract the archive and import the VM image into Virtual Box. Default VM settings should be sufficient to enable network access. The default settings use the NAT protocol to connect the virtual machine to the Internet. In this case your Linux system will serve as the VM's default gateway. If you run a local development server on your Linux system, you may access localhost from the virtual box using the default gateway's address. 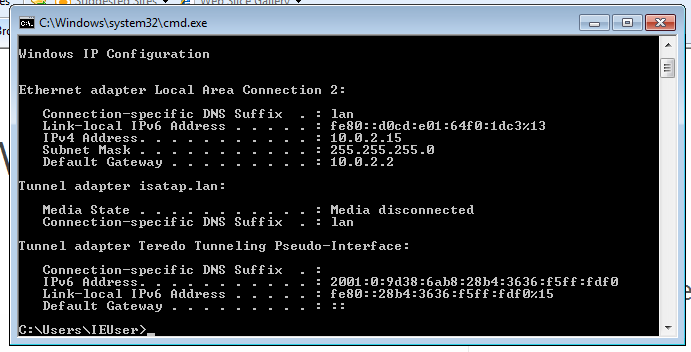 Just run ipconfig from Windows' command prompt to find what it is.